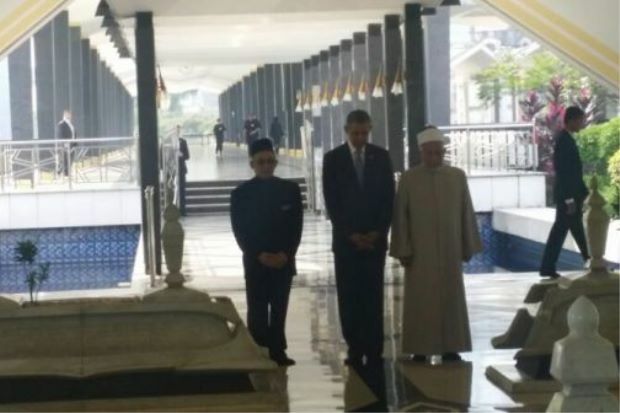 Obama paying his respects at the National Mausoleum on Sunday. 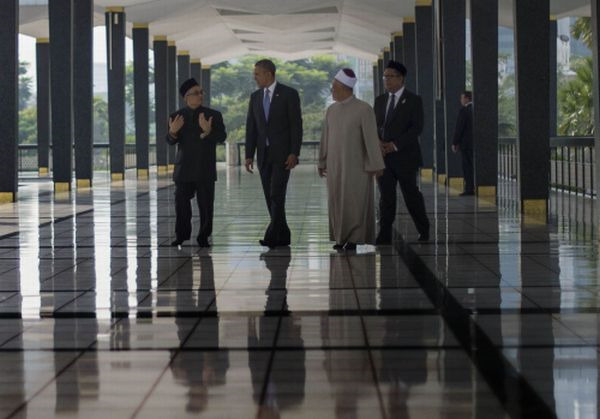 Also present was Grand Imam Tan Sri Syaikh Ismail Muhammad (right) and Abdul Rasyid Mohd Isa of the National Mosque. 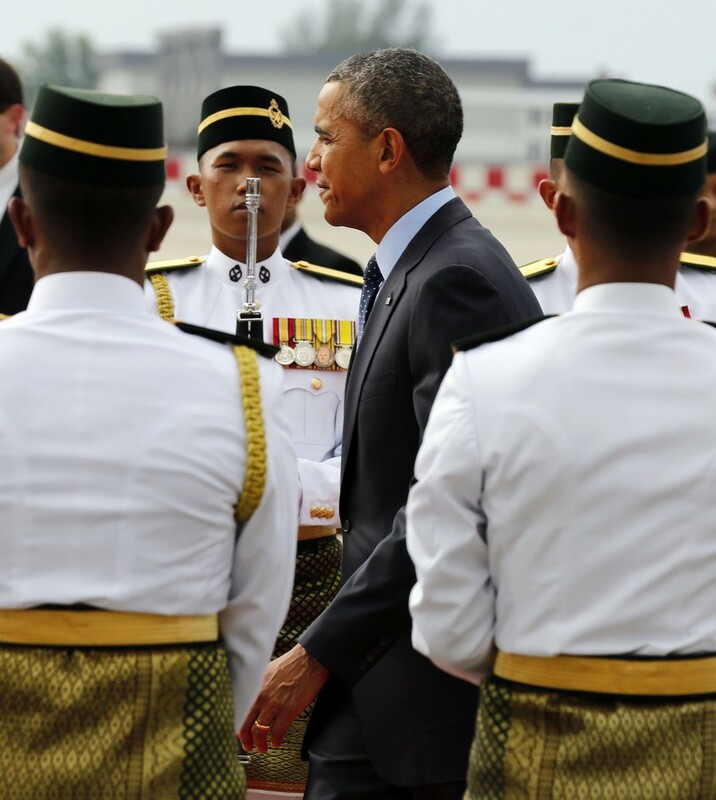 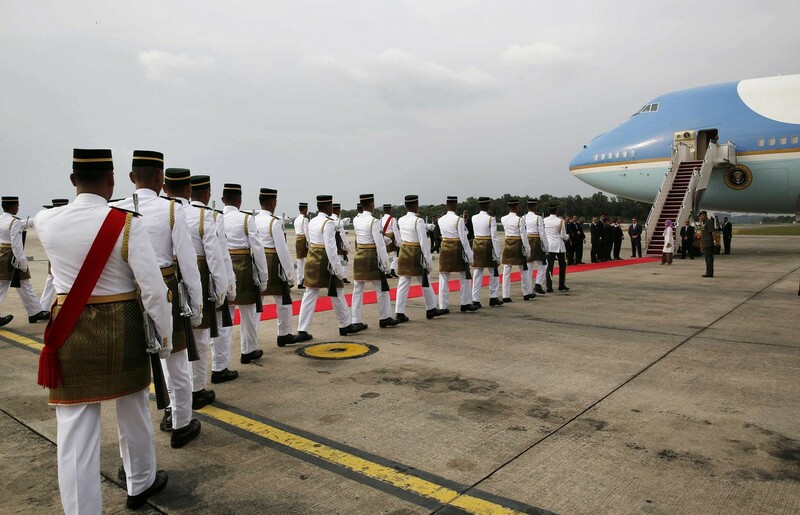 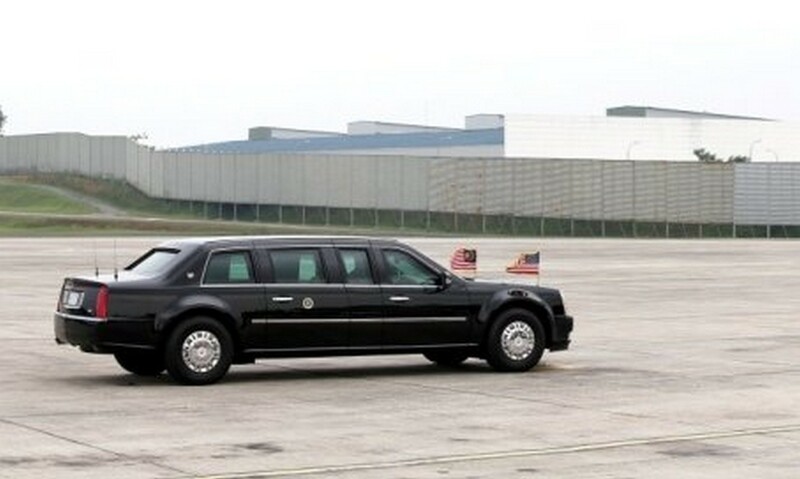 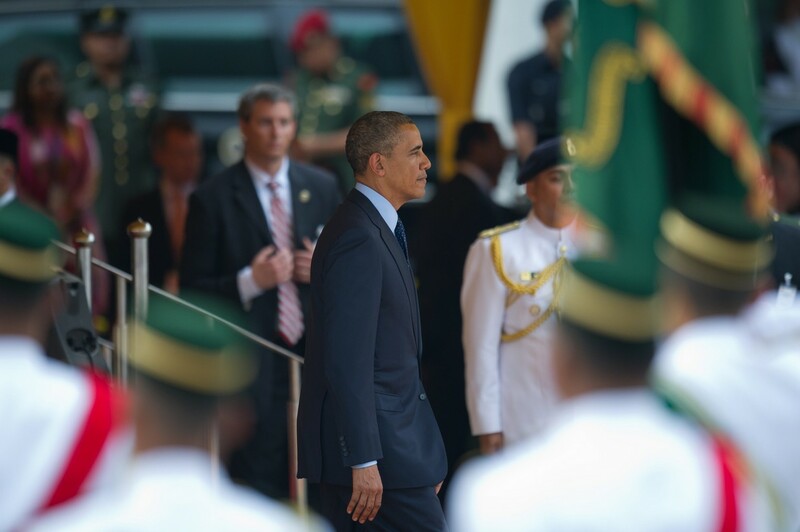 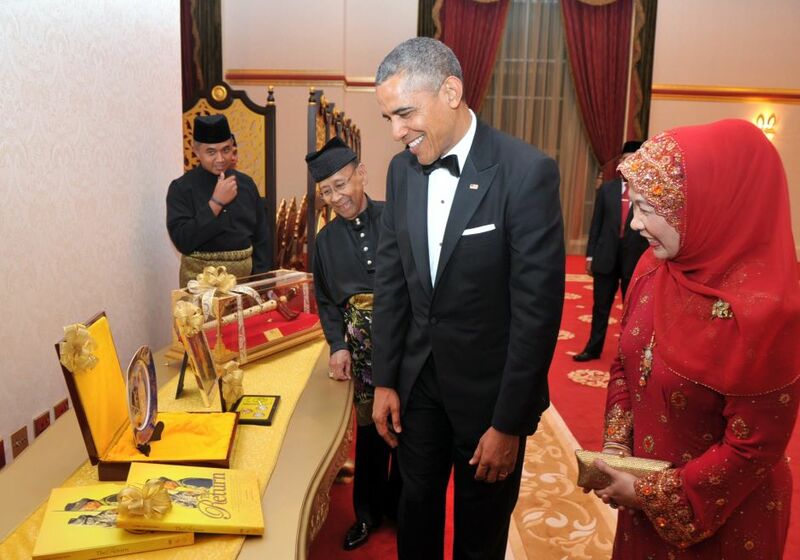 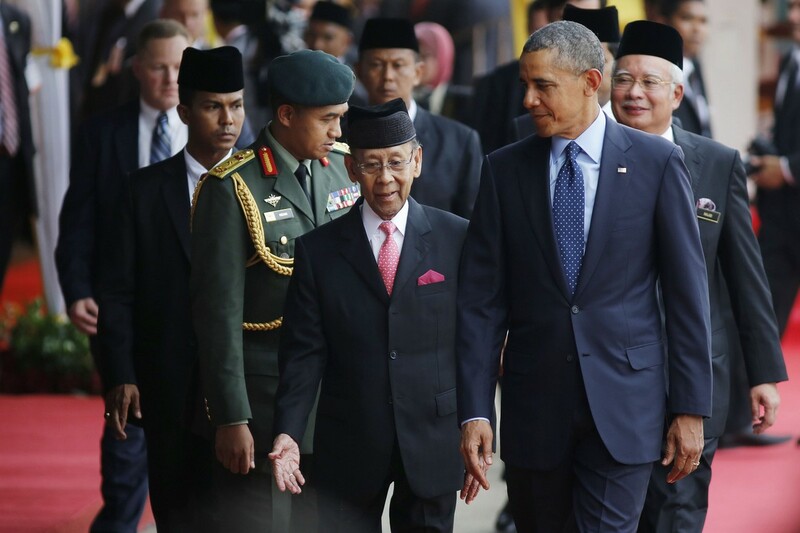 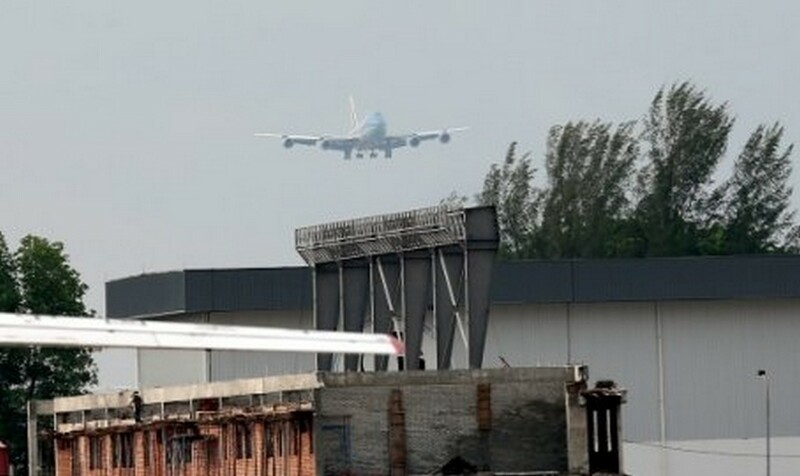 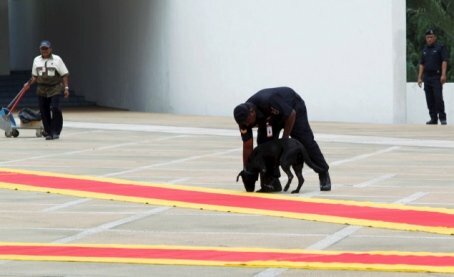 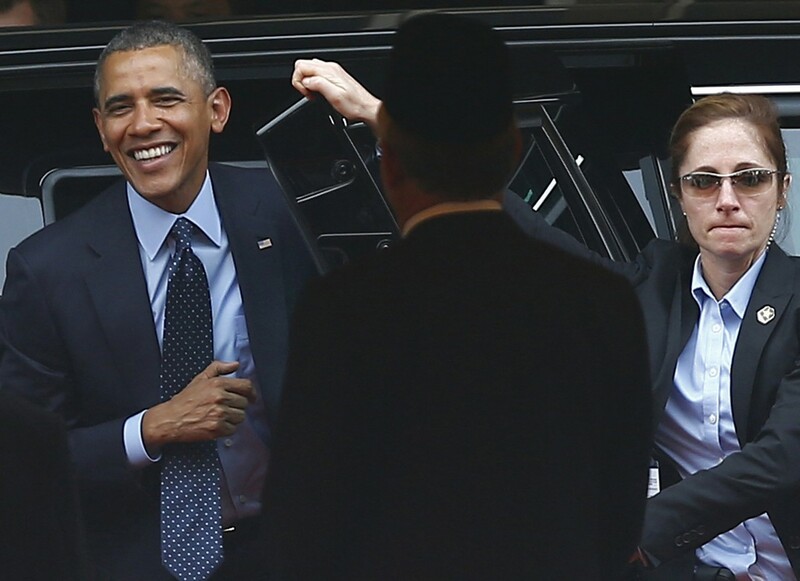 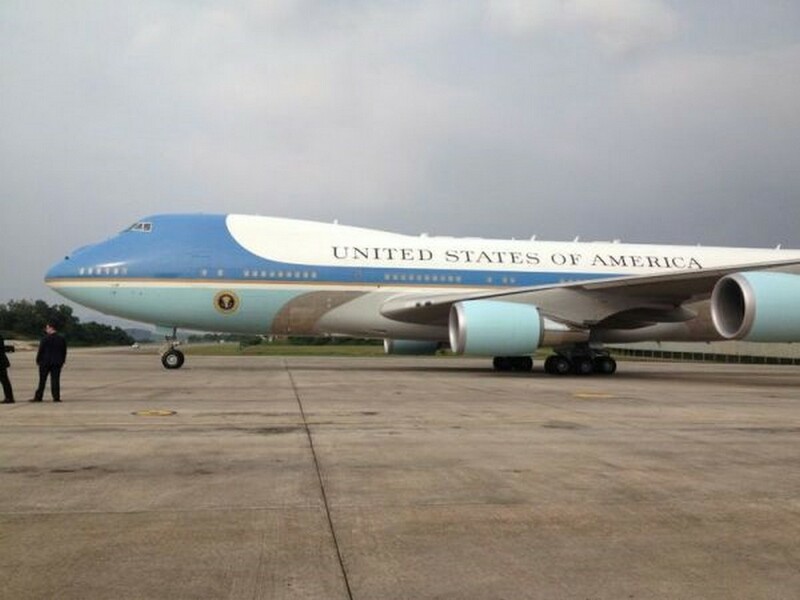 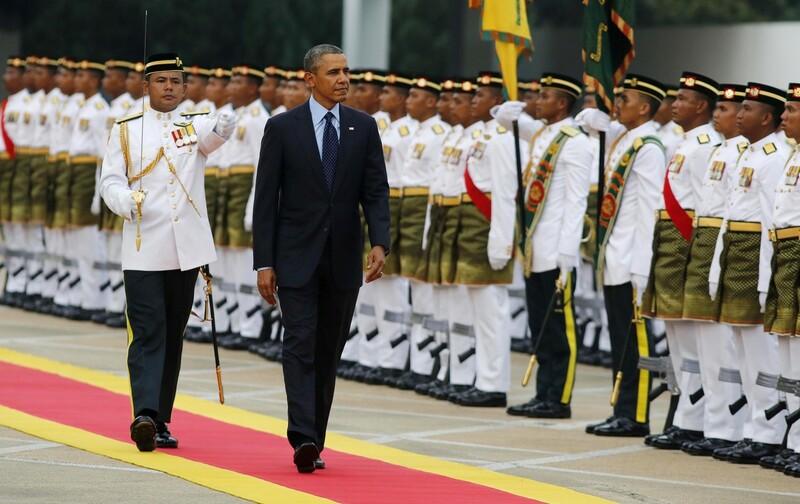 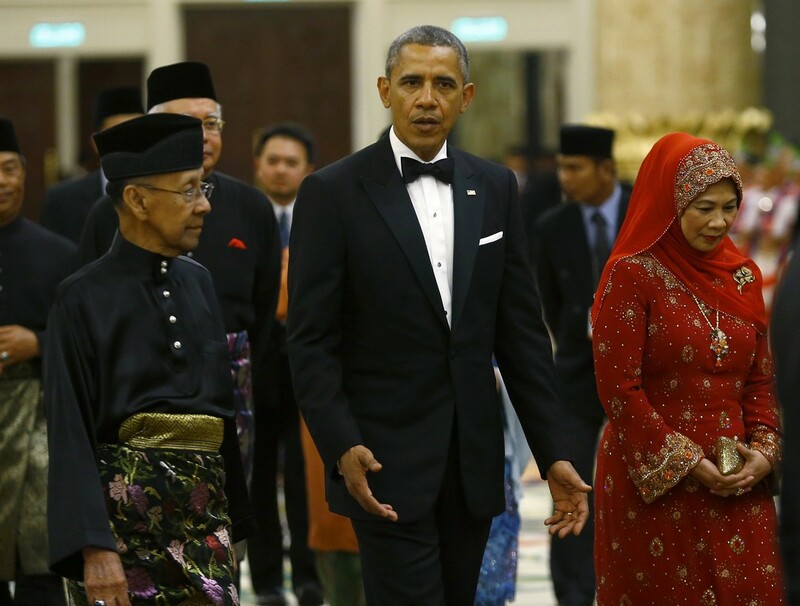 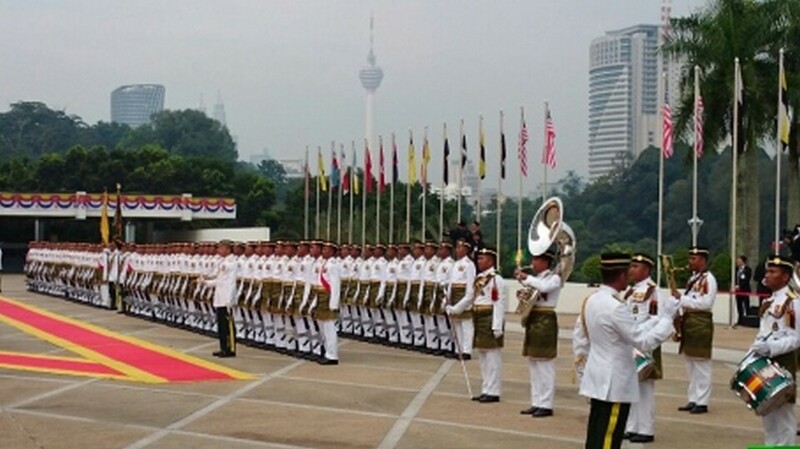 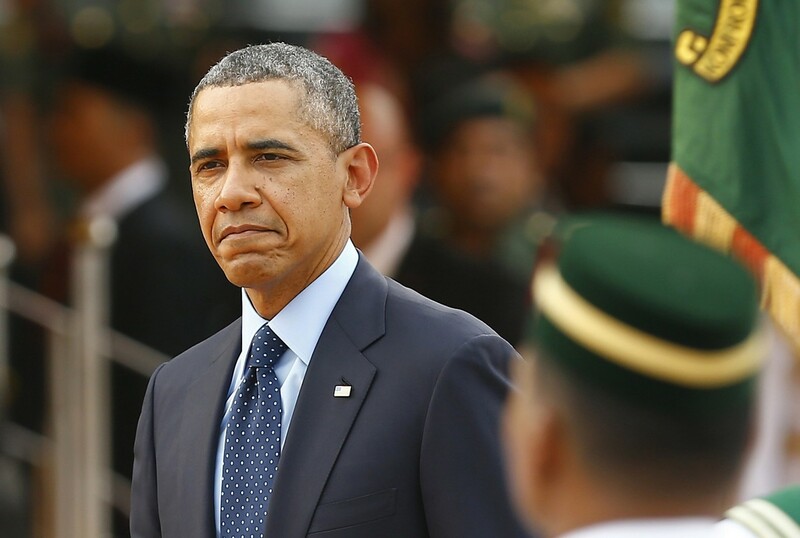 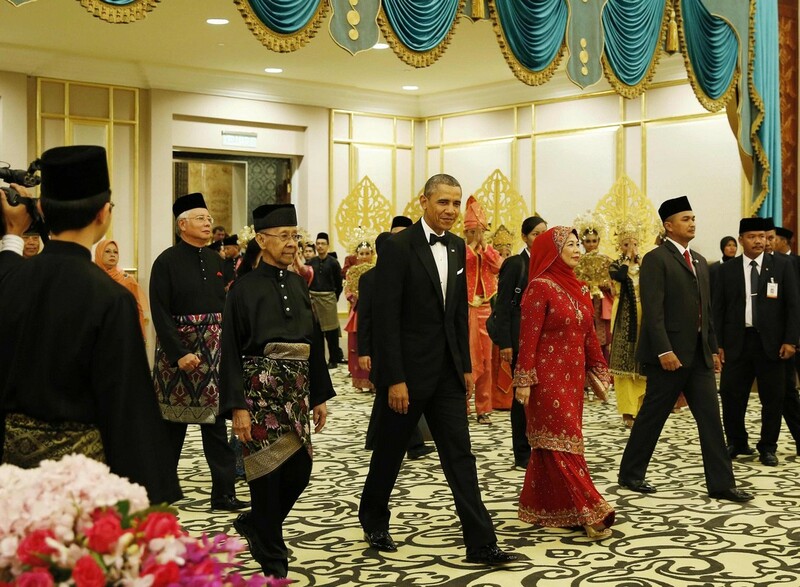 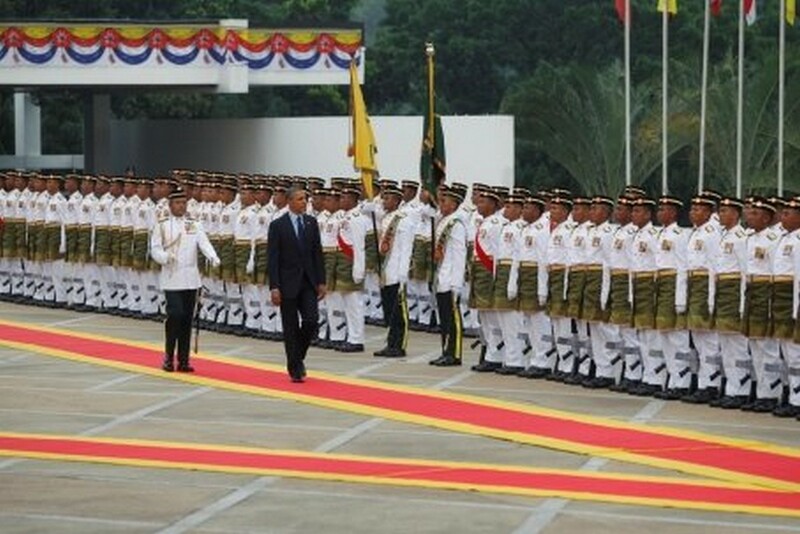 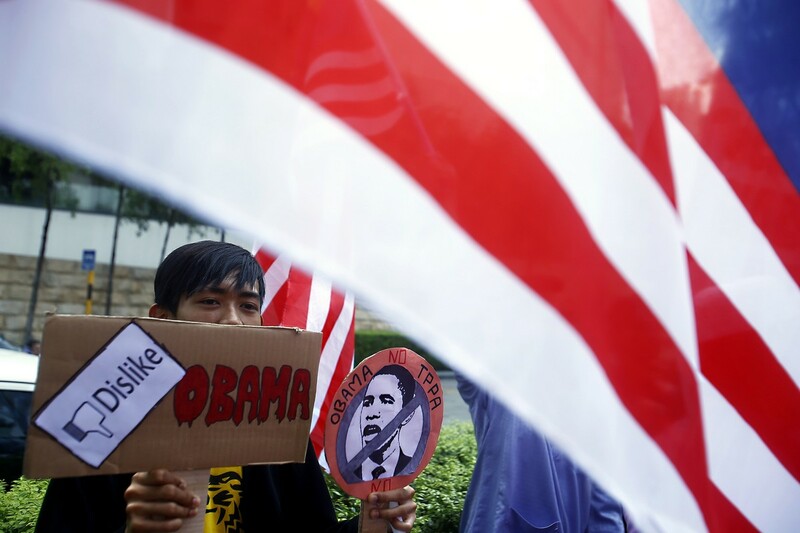 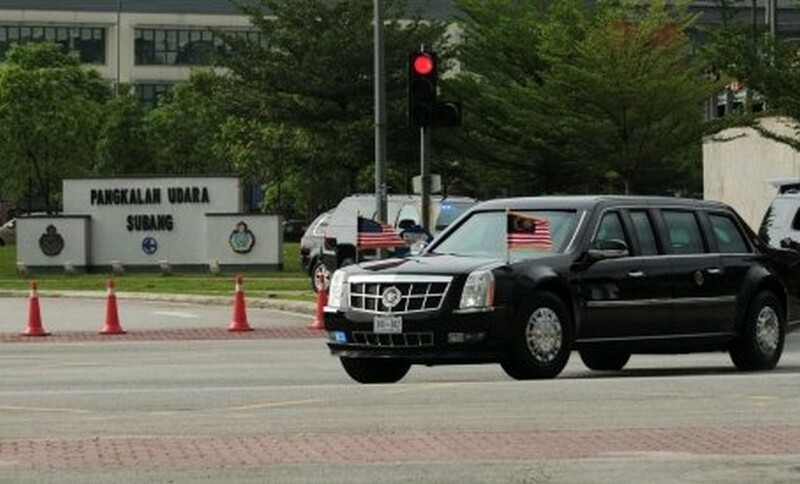 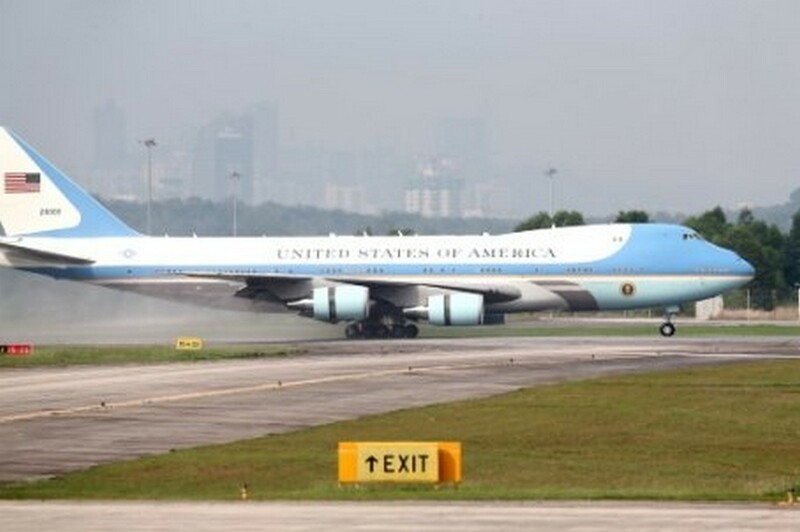 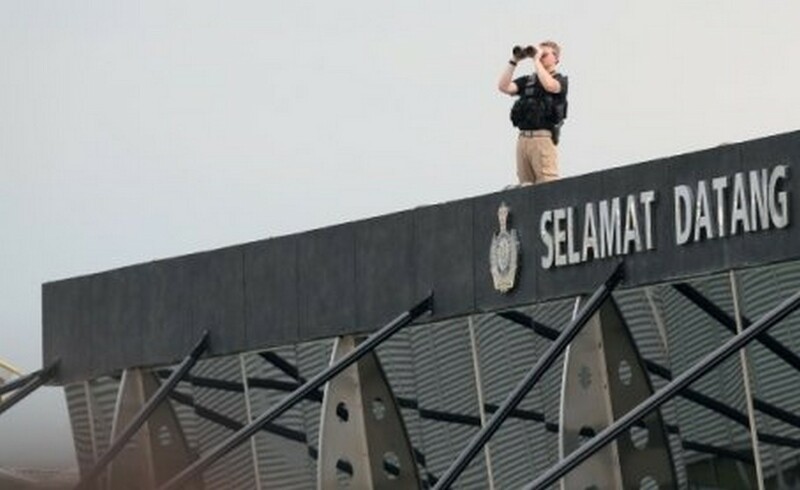 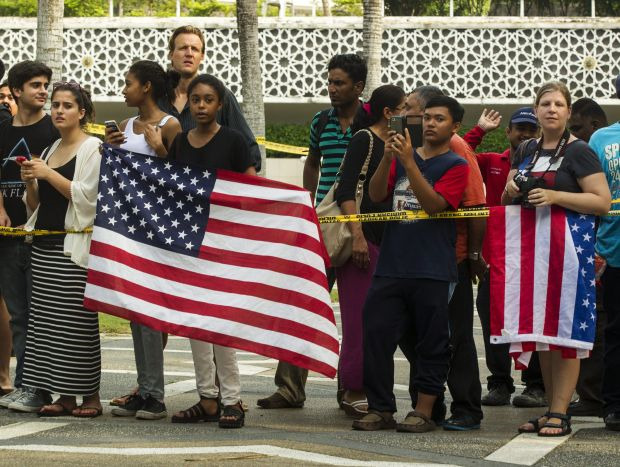 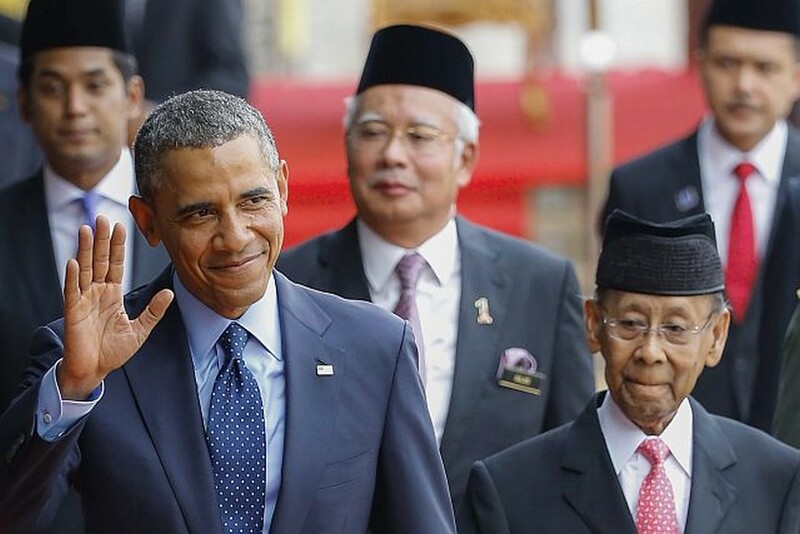 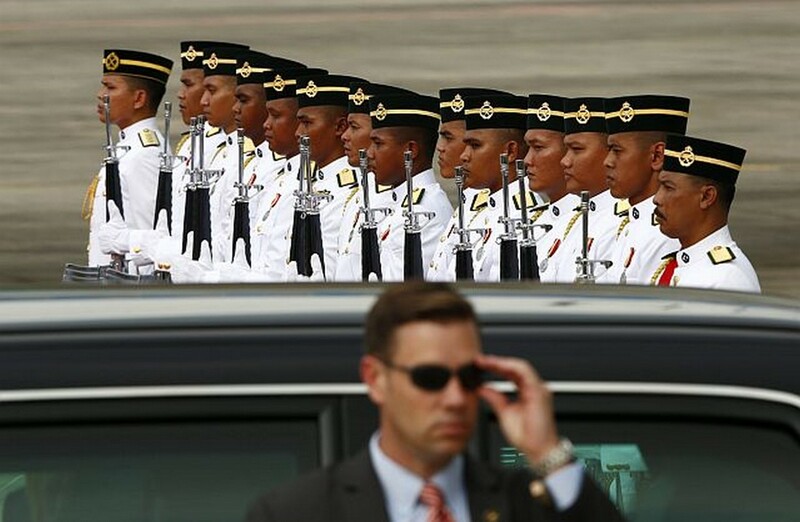 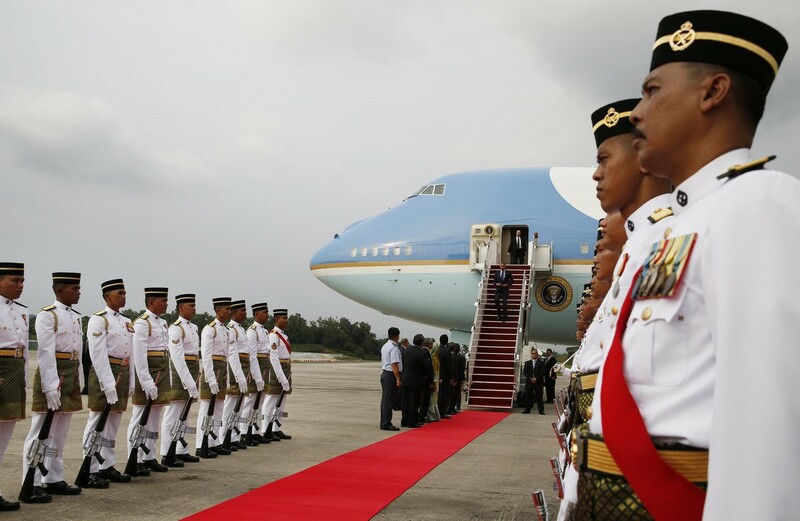 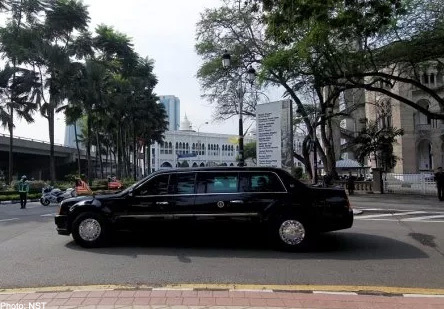 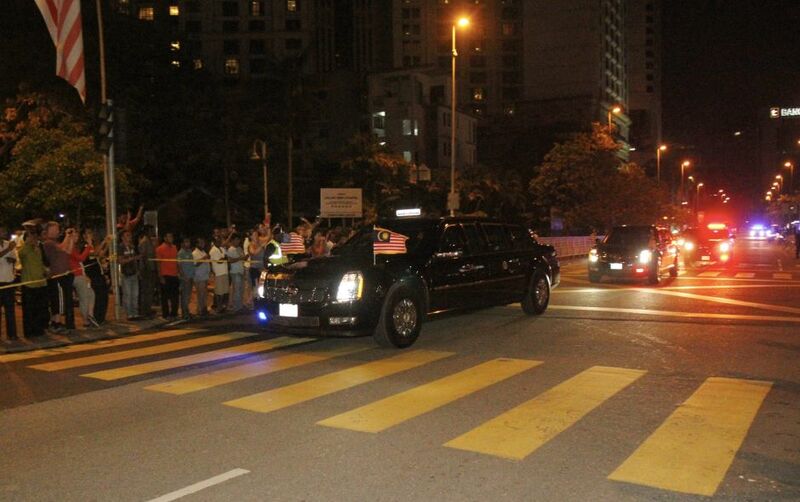 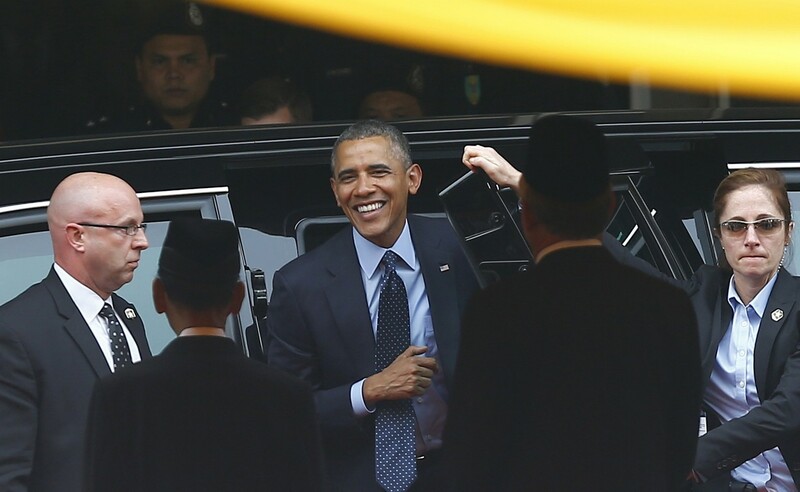 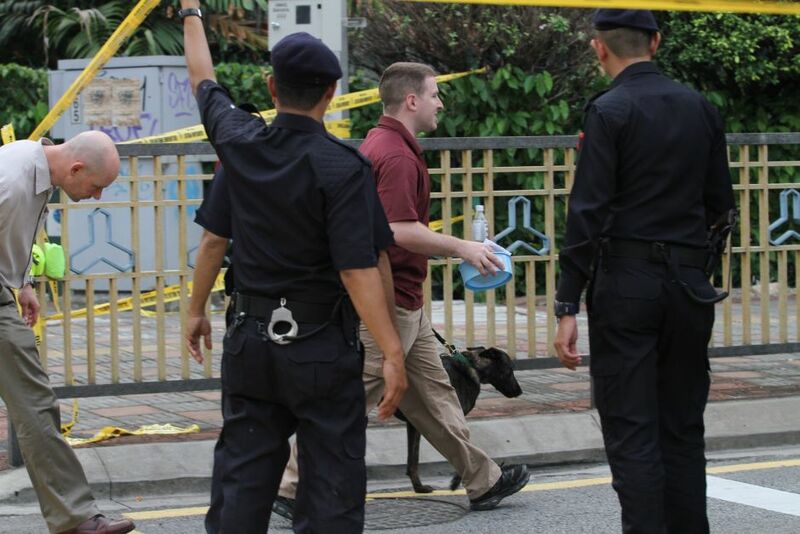 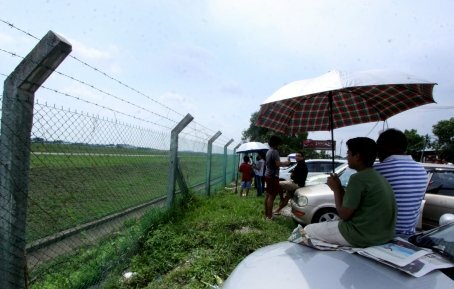 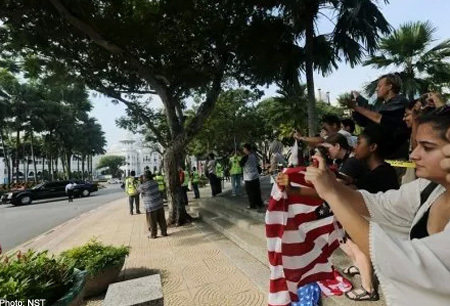 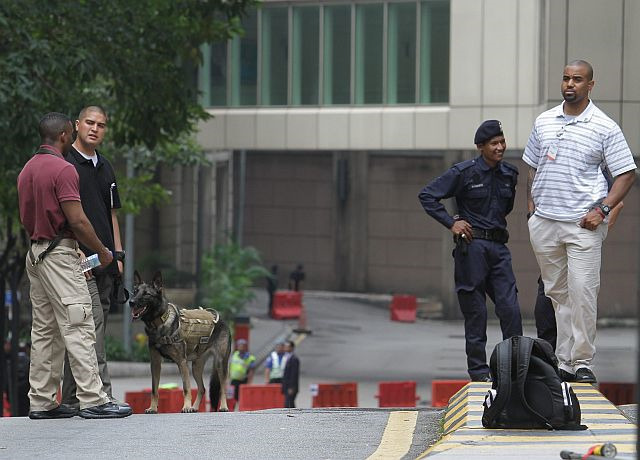 KUALA LUMPUR - US President Barack Obama paid his respects at the National Mausoleum on Sunday where Malaysia's second Prime Minister Tun Abdul Razak Hussein and other leaders are laid to rest in the compound of the National Mosque. 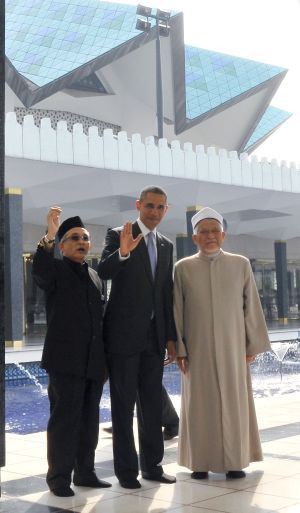 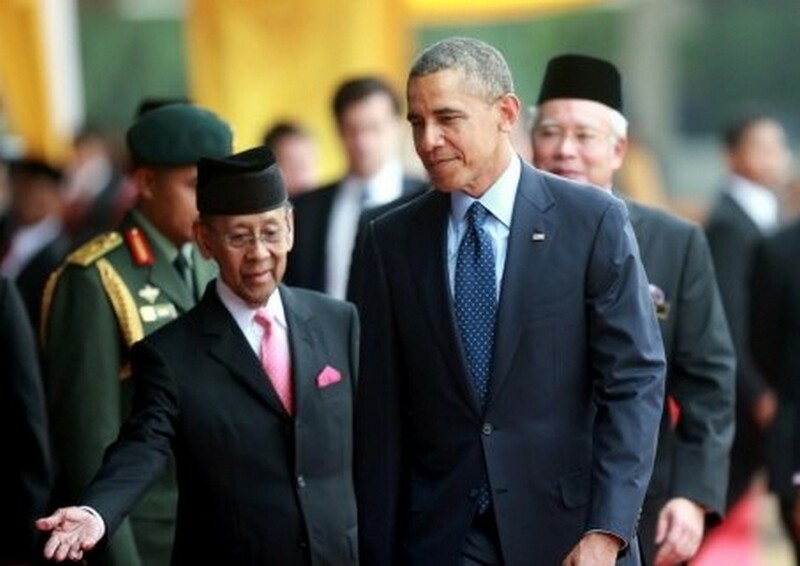 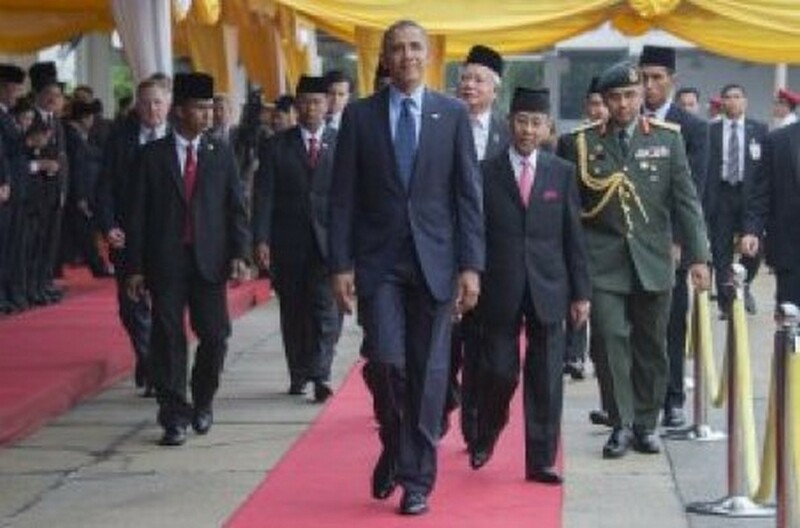 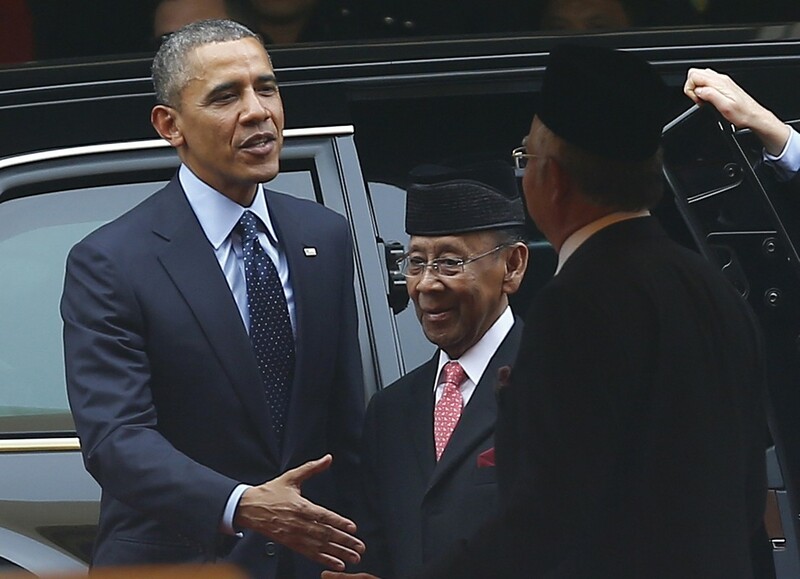 The American leader arrived at 9.40am and was welcomed by National Mosque Grand Imam Tan Sri Syaikh Ismail Muhammad. 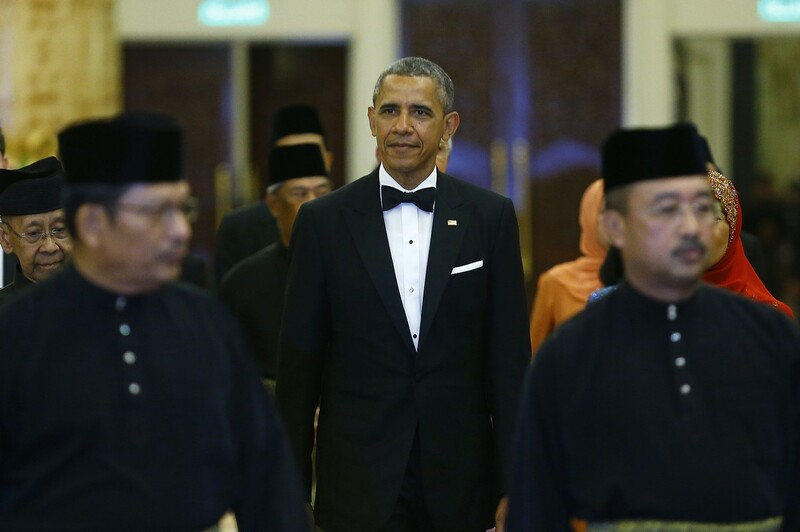 Donning a dark lounge suit with blue tie, Obama also took some time to tour the main prayer room of the National Mosque. 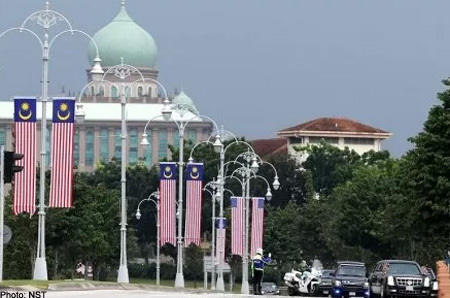 Also present were Youth and Sports Minister Khairy Jamaluddin and US special envoy to the Organisation of Islamic Cooperation Rashad Hussain. 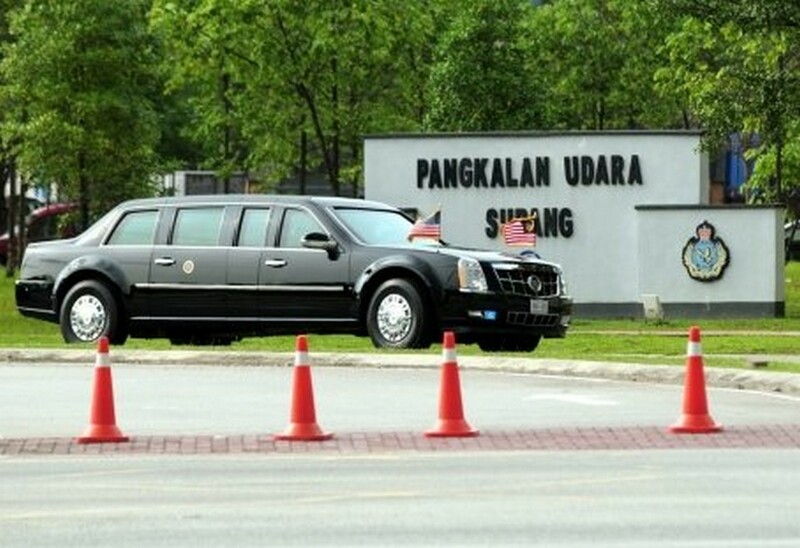 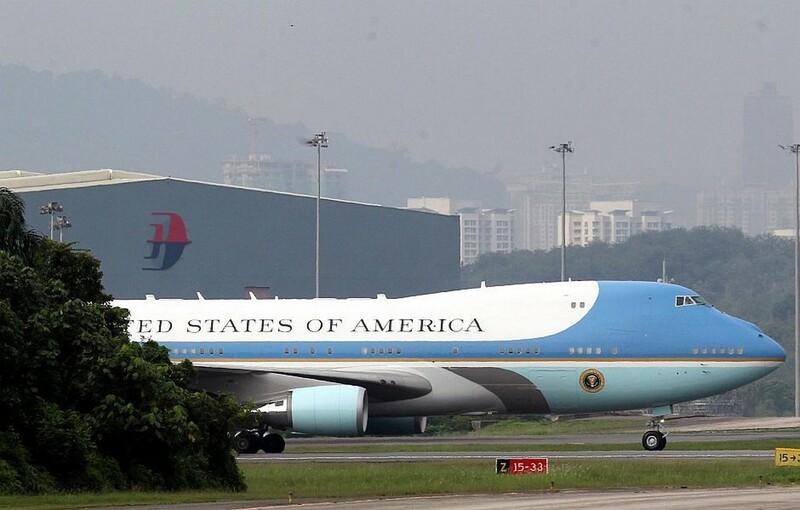 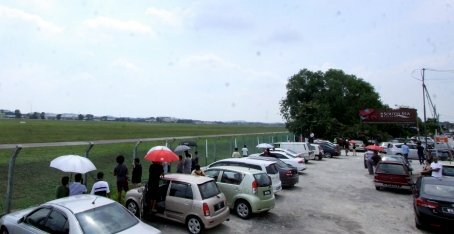 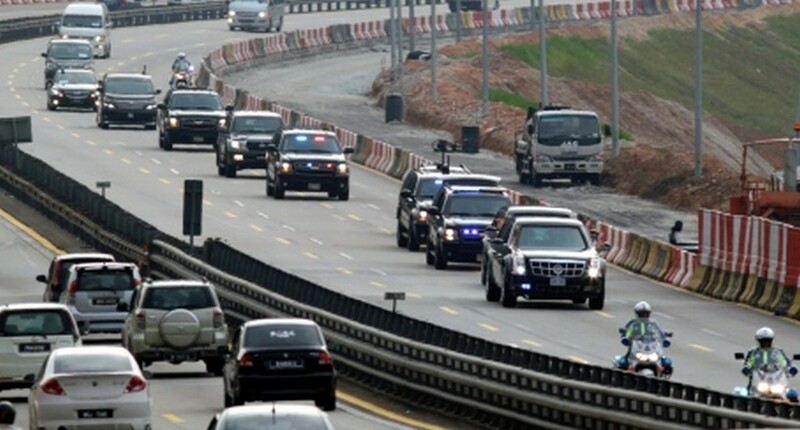 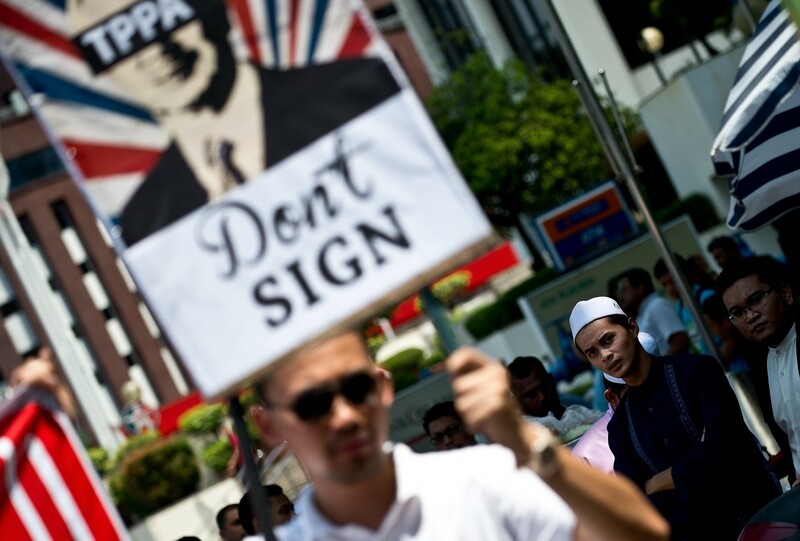 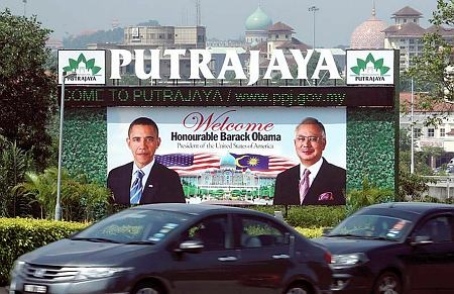 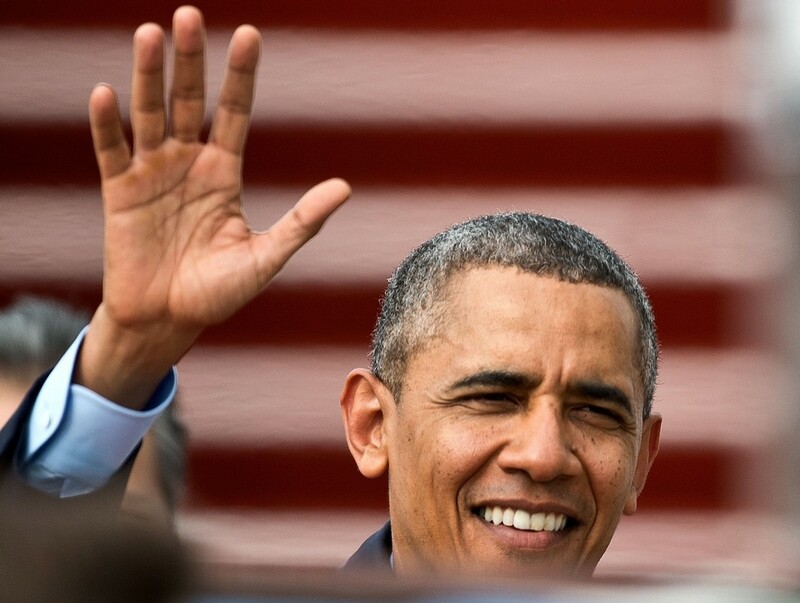 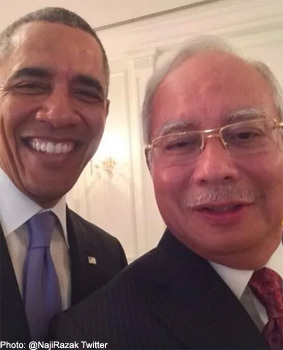 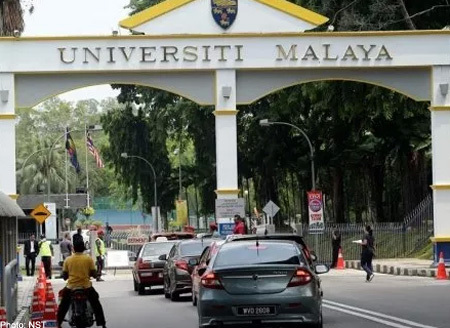 Obama is scheduled to hold talks in Putrajaya with Prime Minister Datuk Seri Najib Tun Razak before dropping by at the Malaysian Global Innovation and Creative Centre (MaGIC), Cyberjaya, later Sunday to be briefed and give a pep talk. 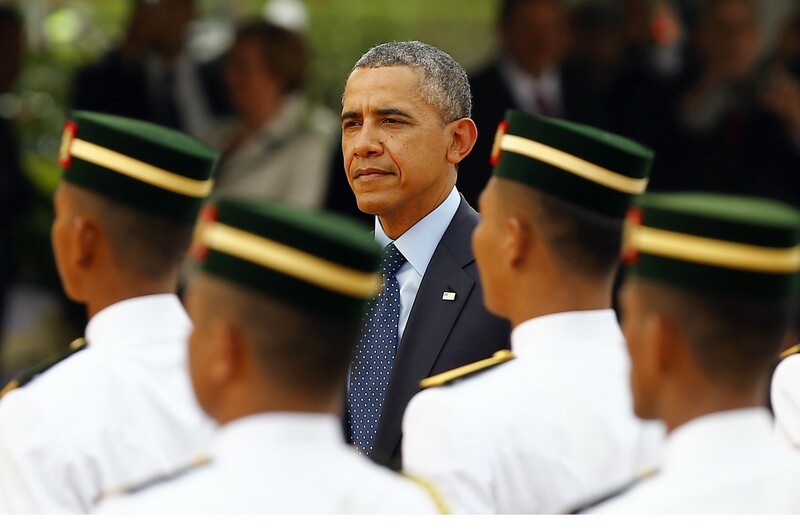 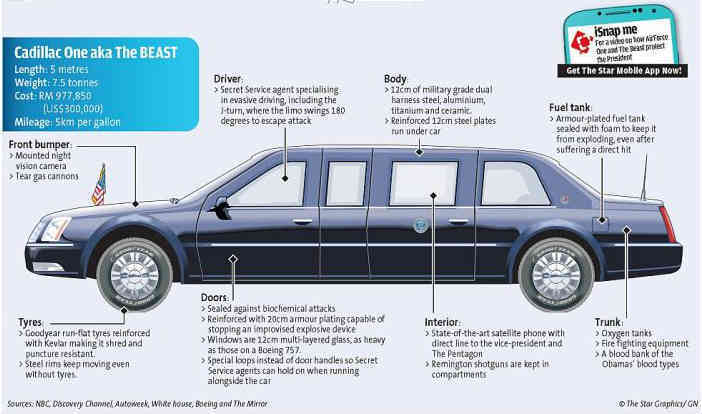 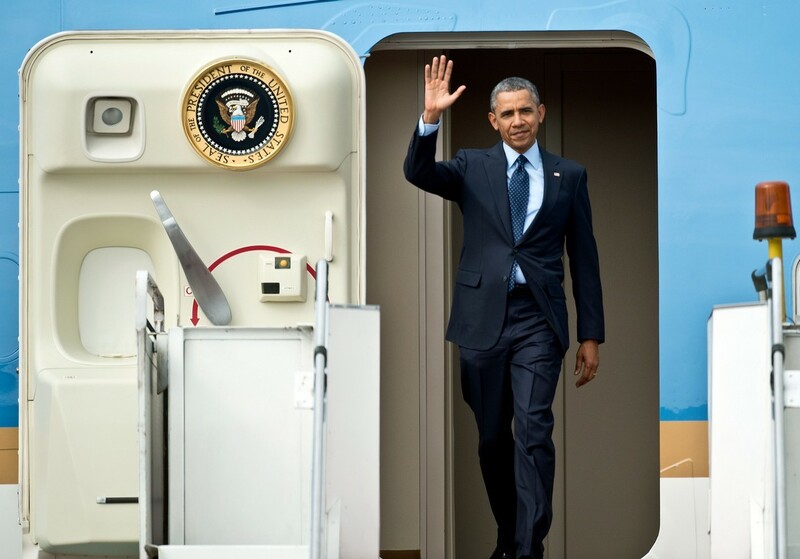 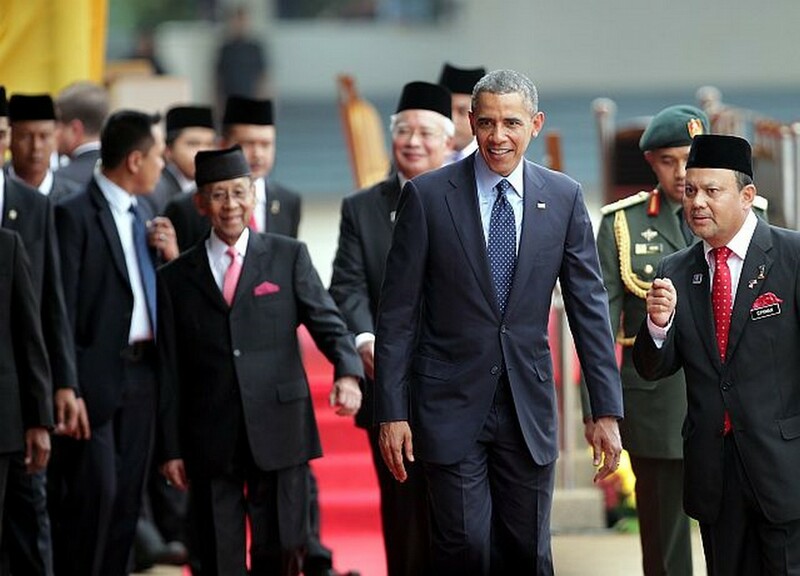 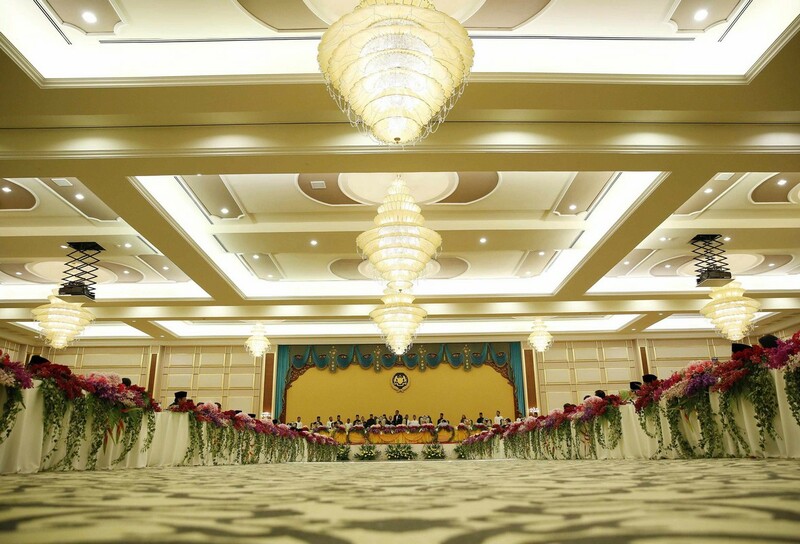 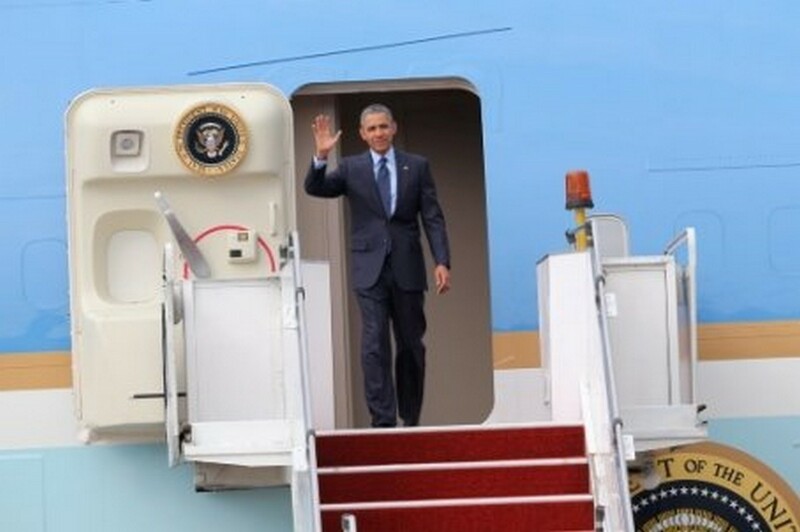 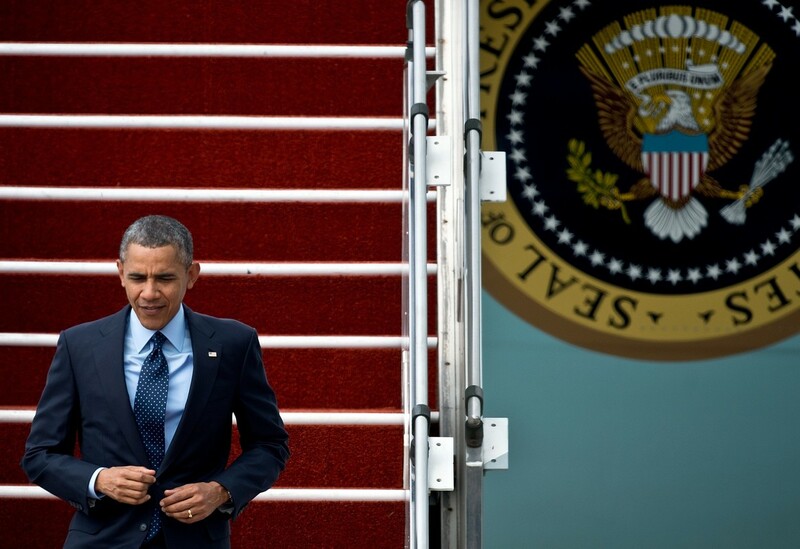 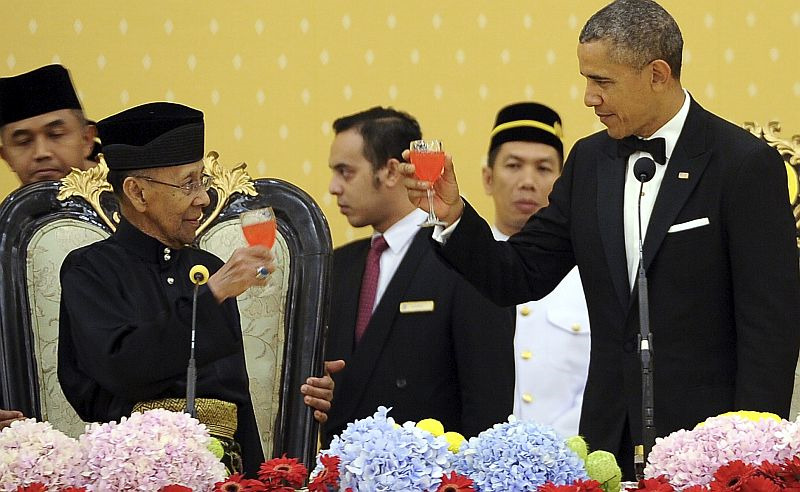 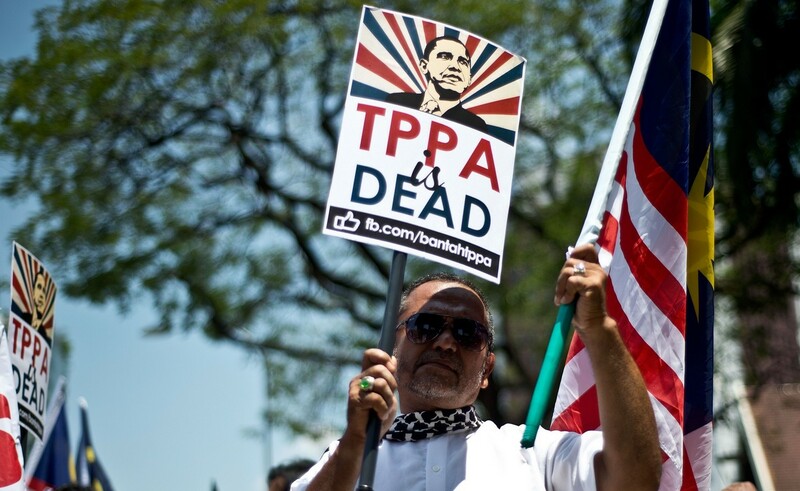 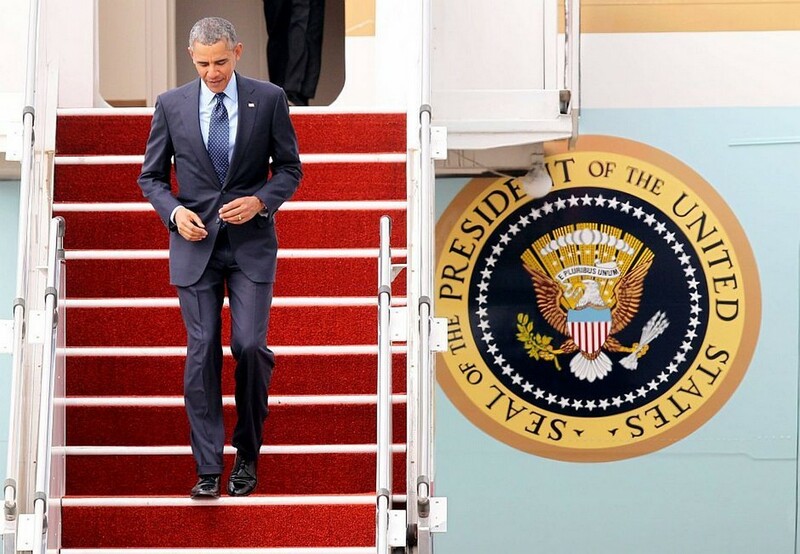 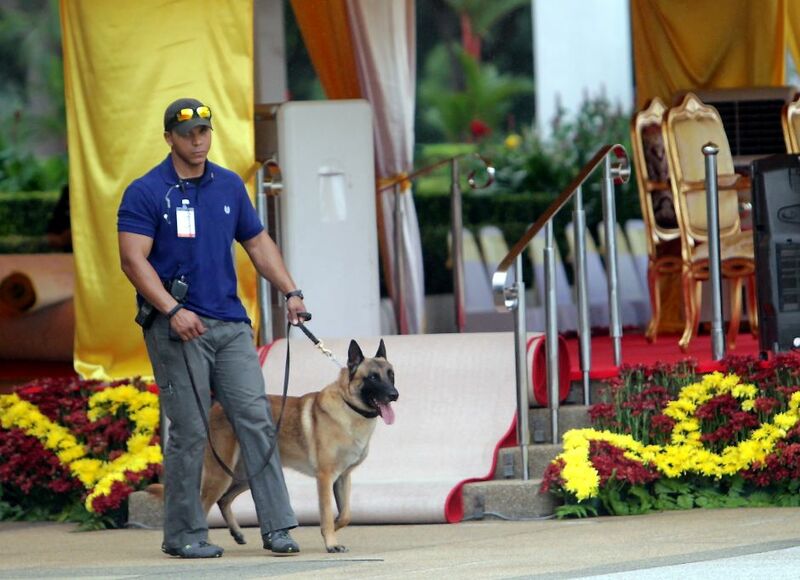 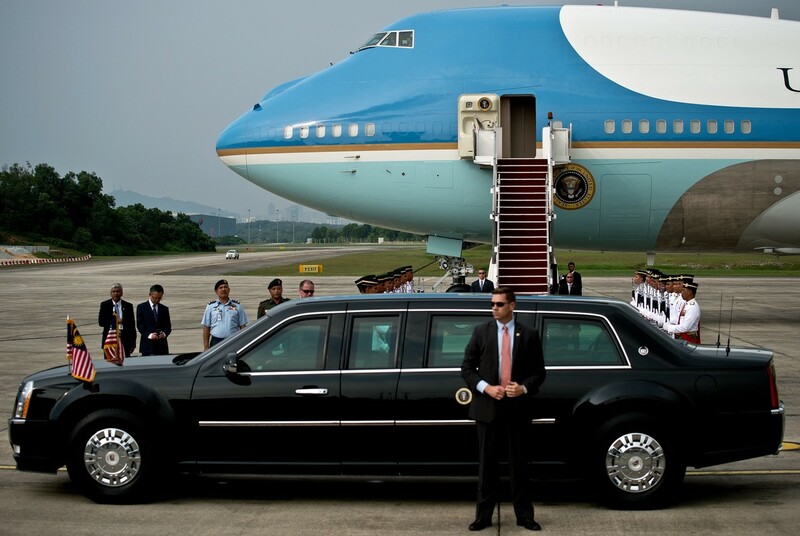 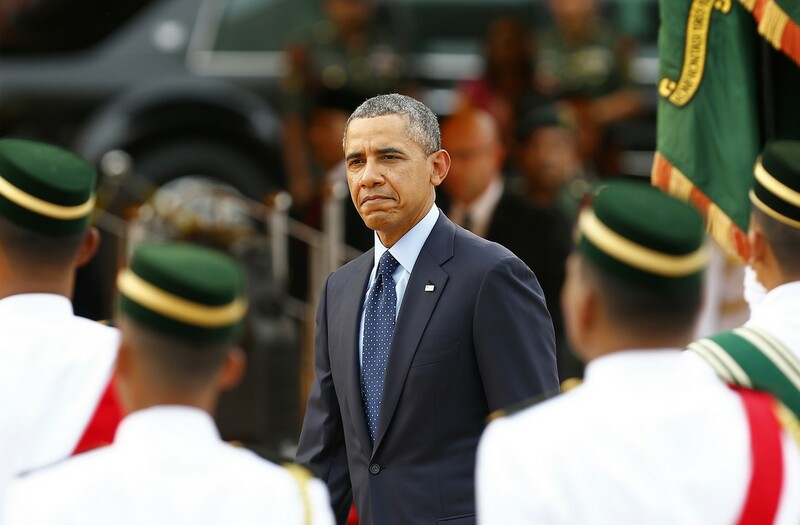 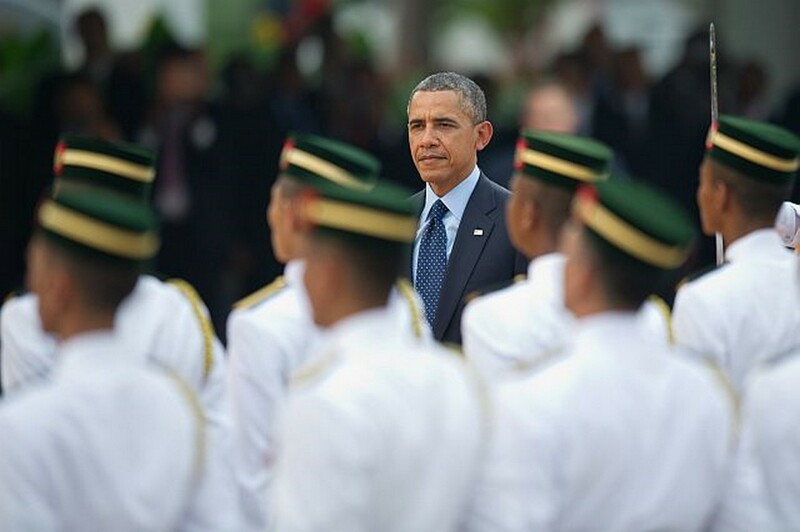 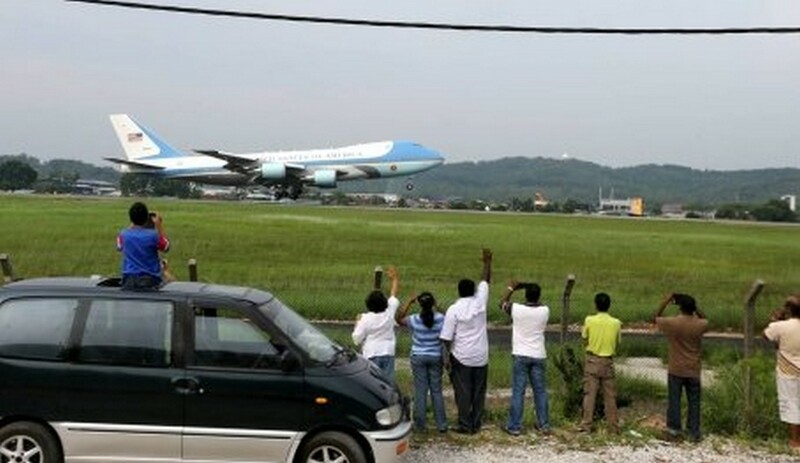 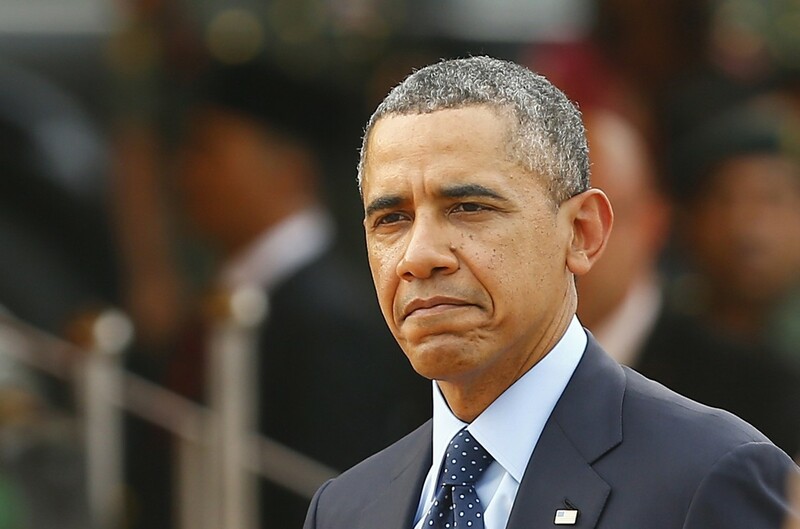 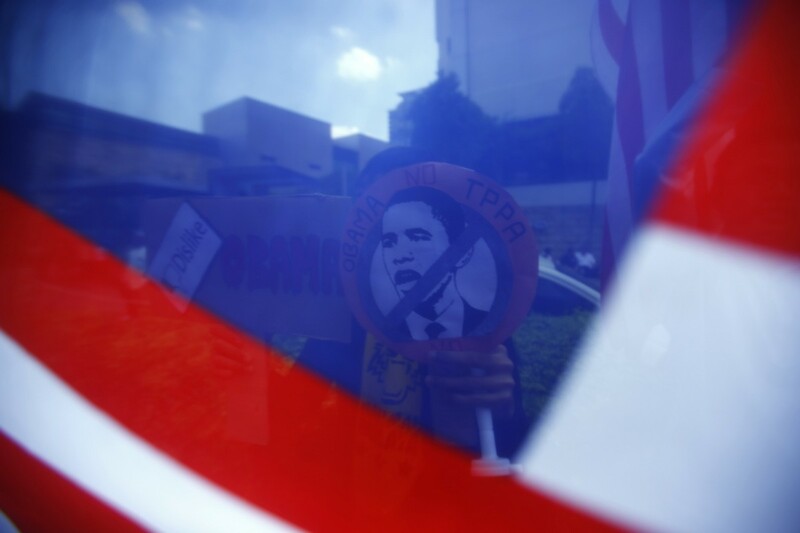 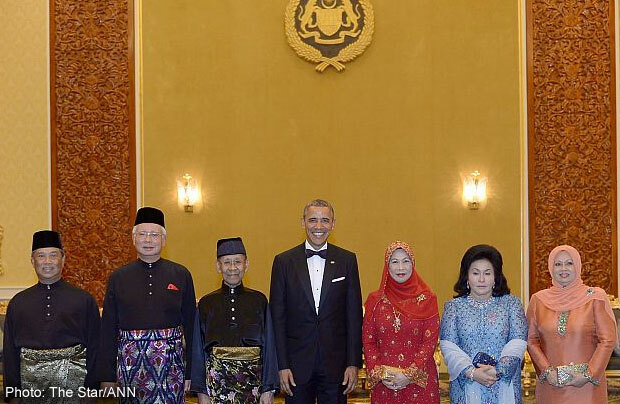 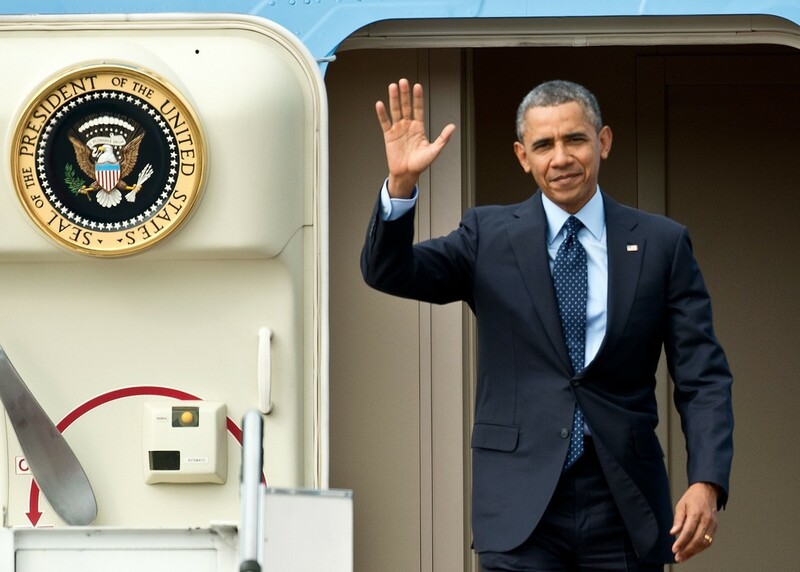 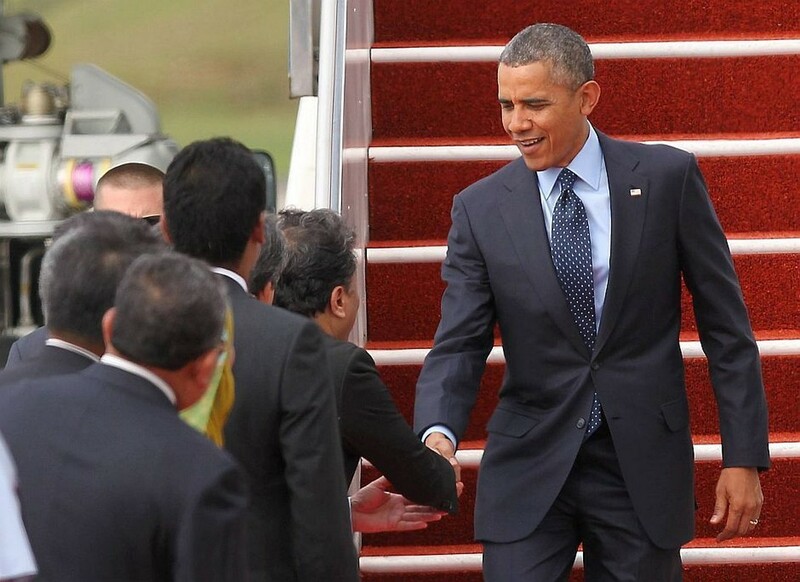 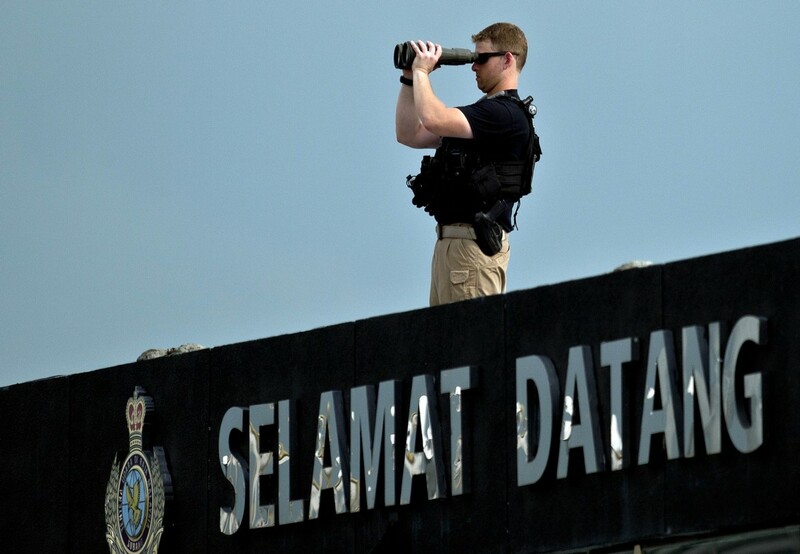 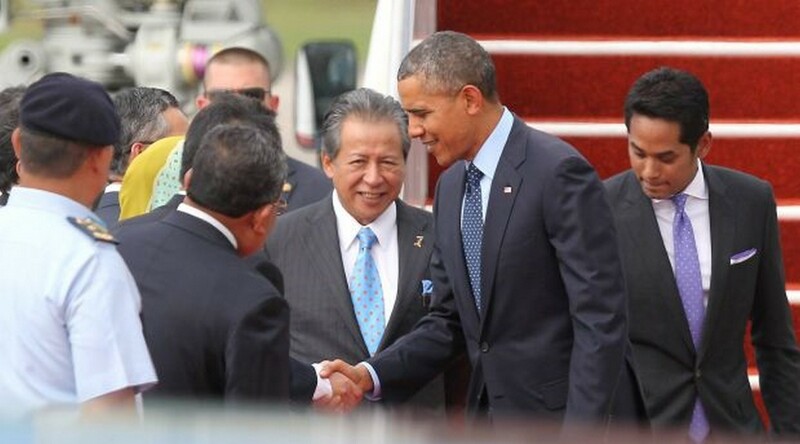 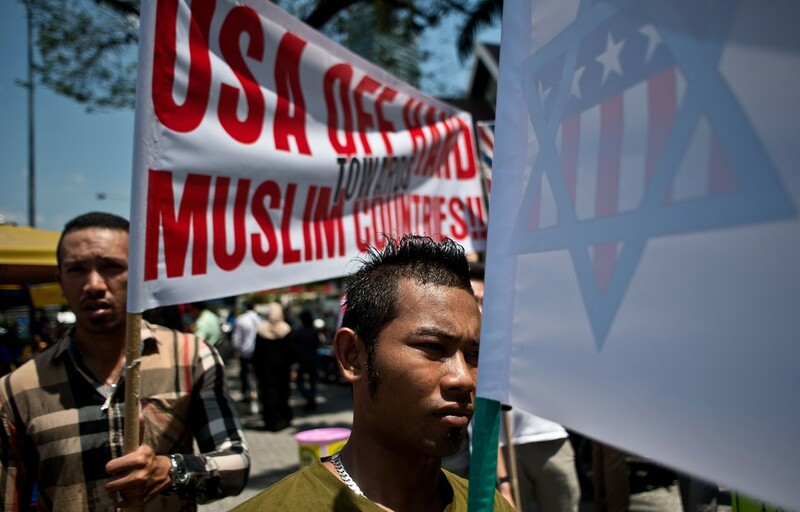 The US president will also hold a town hall session with young leaders from South-East Asia. 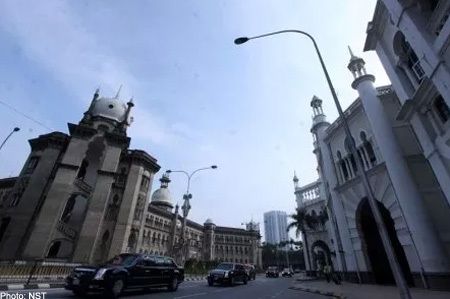 The visit to the mosque, built in 1922 on the site of a church, was greatly anticipated, with Muslim scholars here saying it would further emphasise the president's commitment to reach out to the Muslim world. 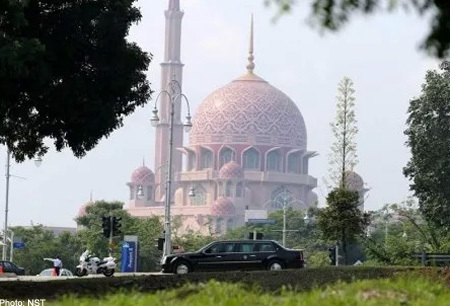 The National Mosque's unique modern design embodies a contemporary expression of traditional Islamic art calligraphy and ornamentation.